YOUR INK JET APPLICATIONS START HERE. Ink development for all inkjet applications. Spectracorp has many years of experience in the design and manufacturing of ink jet cartridges. 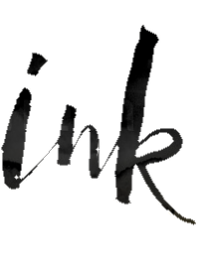 Custom ink jet ink and cartridge manufacturing is the primary focus of the company. We can work with you to establish specific tests for ink, print, and product specifications to provide a high quality product you can count on. Additional tests for environmental exposure to heat and cold extremes, pressure, vacuum, can be done on the product to insure product integrity. We utilize our own custom built cartridge, bag, and bottle filling and sealing machines that fundamentally provide a higher quality finished product than found outside of the OEM manufacturing process. We have the tools and capability to quickly build prototype cartridges for special applications. Furthermore we can cost effectively manufacture small quantities of product for prototype testing and even low volume production. We can also compete in pricing and deliver far superior turnaround and quality with foreign competition for large scale production. In addition to our custom cartridge manufacturing, Spectracorp also provides remanufacturing services for its customers. We can do this for most ink jet platforms with customer provided ink or a finished product with our ink. Each product we make is rigorously tested to insure the highest color fidelity and product quality. We do everything in our power to provide a product free of patent infringement for the United States market. Spectracorp resells True Pix Classic and QC Pro Digital Sublimation Paper. Both papers were specifically designed to work with all versions of Sawgrass Sublijet inks. This paper is calibrated to be used with the Sawgrass Power Driver, with no modification to the profiles. Each carton is individually bar-coded with the master reel lot number, and each lot number is tested with Sublijet inks to ensure the highest quality product, and compliance with Sawgrass specifications. It is approved by Sawgrass Technologies for all supported Ricoh and Epson desktop printers and all Epson Professional Stylus Pro wide format printers. True Pix Classic Sublimation Paper is the suggested product for Chromaluxe High Gloss Aluminum Panels. True Pix is packaged in 100 sheet boxes, with an inner clear storage bag containing 100 sheets. Rolls are available in 13″, 17″, 24″, 36″, 44″, 60″, and 64″. QC Pro is packaged in 500 sheet boxes, with an inner clear storage bag containing 100 sheets. Rolls are available in 13″, 17″, 24″, 36″, 44″, and 64″.